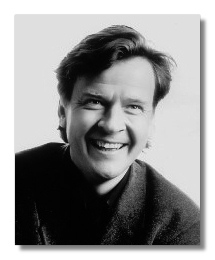 Magnus Lindberg is a prolific Finnish composer who was born in 1958 and studied at the Sibelius Academy in Helsinki with Rautavaara and Paavo Heininen. He also attended summer courses in Siena (with Donatoni) and Darmstadt (with Ferneyhough) and graduated in 1981. This was followed by a period of extensive travel in Europe which included a variety of musical experiences and private studies with Vinko Globokar and Gérard Grisey in Paris. Lindberg has won a number of composition prizes; these include the prestigious Prix Italia (1986), International Rostrum of Composers, UNESCO (1986), the Nordic Music Prize (1988), and the Royal Philharmonic Society Prize for large-scale composition in 1992. In the 2009-2010 season Lindberg became composer-in-residence at the New York Philharmonic. Lindberg's musical development is often described as falling into a number of distinct phases. Initially dubbed an "angry young man", he burst onto the scene in the late 1970's with music almost entirely devoid of melody. Kraft (1983-85), still one of the composer's largest works, is typical; it harmonizes up to 70 notes… the score is a yard in height. Exposure to Japanese and Indonesian music prompted (or reinforced an existing) pre-occupation with percussion. Although Lindberg remains fascinated by the modern, the new, the exciting, the fast even (he is quoted as saying, "I am a child of the times, and I like fast and complicated things"), his later music is more tempered – as typified by the orchestral trilogy, Kinetics (1988), Marea (1989-90), and Joy (1990). Although Lindberg's interest in the purely sonic world of electronics has slackened, he has continued to explore ways in which software aids, sponsors and facilitates composition. Engine (1996), for instance, works on the possibilities of complex counterpoint as generated by computer. Further refinement of Lindberg's style has resulted in works for chamber ensemble such as Corrente (1992) and its immediately following orchestral version, Corrente II as well as the Duo Concertante (also 1992). These and the symphonic Aura (1994) suggest directions which he has taken since with greater tonality, though no other compromises… later work shows the influence of Boulez, Murail and even Stravinsky and Minimalism. The greater richness to which these trends attest is exemplified by one of Lindberg's most popular recent works, the Clarinet Concerto (2002), which even has a discernible folk-like melody. Careful listening to Lindberg's varied output should enthuse rather than confuse: motion to and from experimentation in his case seems more likely to suggest a lively, questing excitement with his powers and the possibilities of music in the early twenty-first century, rather than a spent restlessness or real dissatisfaction with that has been – or may ever be – achieved. Reputation is to come second to real innovation and consolidation in the music. Nor should these phases be considered watertight. Lindberg's development hasn't been linear and is more nuanced than such a stark division would suggest. There is overlap, cross-fertilization and regression. In 1980 Lindberg.founded the new-music ensemble Toimii ("It Works" in Finnish), and an informal grouping known as the Ears Open Society, which included Lindberg and his contemporaries Eero Hämeeniemi, Jouni Kaipainen, Kaija Saariaho and Esa-Pekka Salonen.